Mug Shot Websites Charge When You're Charged, For Now : The Two-Way If you've been arrested in the last 10 years, there's a good chance your arrest photo ended up on any number of websites. You'll have to pay to make them take it down, but one lawyer aims to make the websites pay instead. In August 2011, Debbie Jo Lashaway was charged with theft. She was arraigned and booked in Lucas County, Ohio, and her mug shot was taken. Seven months later, the charges were dismissed and her record was sealed — effectively removing the theft charge from her public record. Six months after that, she even won a judgment against the man who accused her of theft, declaring the charge bogus and awarding her thousands of dollars in damages. But just a few weeks ago, she found out her mug shot was still online, posted on a handful of websites — sites like bustedmugshots.com and justmugshots.com. To get her photo stripped from the website — and search engines like Google — they wanted her to pay between $100 and $500. Philip Kaplan and Debra Jo Lashaway were both arrested, then cleared of their charges. Their court files were sealed, effectively removing the arrests from their public record, but their mug shots linger on websites that make money by charging people to remove their arrest photos. Now, they're part of a lawsuit that argues their right to publicity has been violated. Horrified, she called her lawyer, Scott Ciolek. Now, Ciolek's suing the websites, not for making his clients look like criminals, but because they are making money by exploiting his clients' images. "The lawsuit that we filed in Ohio challenges these websites on the grounds of publicity rights, and that's like a copyright or patent that an individual has in their own persona," Ciolek told weekends on All Things Considered host Guy Raz. Publishing a mug shot is not the actual problem, he says. It's when a profit is made from the publishing that it becomes an infringement on publicity rights. There are some exceptions — news outlets, for example, are allowed to publish photos because they are considered newsworthy public affairs. But the mug shot websites Ciolek is targeting with his lawsuit, he says, are publishing them for the purpose of charging people to have their own picture removed, and they also use mug shots in banner ads to draw people to their websites. Ciolek has added another client, Philip Kaplan, to the suit. Kaplan was arrested for failure to disperse from a party in the Old West End arts district in Toledo two years ago. His case was also dismissed, and his record sealed, though his arrest photo remains on a handful of mug shot websites. "There are hundreds of stories we're received since we filed the lawsuit two weeks ago, about people who've been totally exonerated of all crimes," Ciolek said. "And their mug shots are as present to this day on these websites as people that are guilty of very serious crimes." The consequences, he says, can be severe. Phillip Kaplan, a freelance graphic designer, has had trouble getting work, and Ciolek says part of it is that his mug shot shows up in a quick Google search potential clients would do. Other people, Ciolek says, have had trouble renting office space or apartments. Most mug shot websites do offer to take down arrest photos for free for people who, like Lashaway and Kaplan, have had their charges dismissed. But it doesn't usually include a deep scrub against of the images, so they'd still pop up in Google searches. And it doesn't stop other mug shot websites from publishing the pictures. 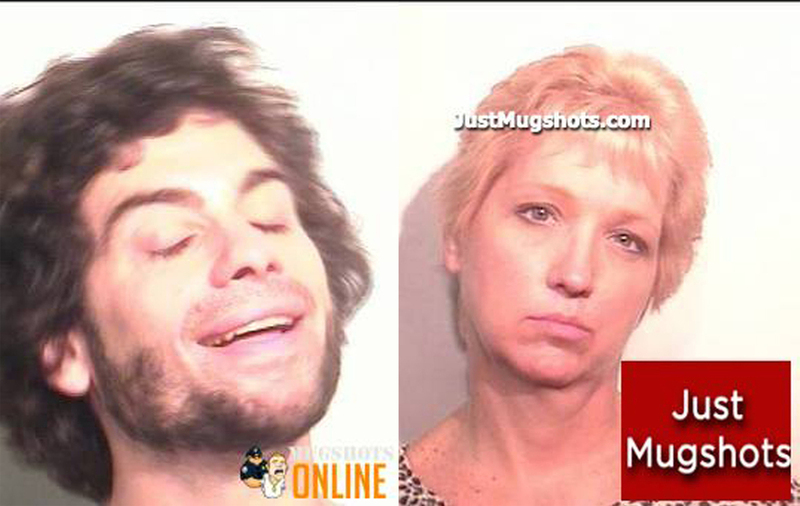 Four mug shot websites are named in the suit — justmugshots.com, bustedmugshots.com, mugshotsonline.com, findmugshots.com — as well as mugremove.com, a reputation clearing site. Ciolek filed the case as a class action suit he hopes will include the more than 250,000 people in Ohio whose mug shots have appeared on these sites. The state allows for up to $10,000 in damages for each individual if Ciolek wins.